and just celebrated its 24th year. This year, DM at UF raised a historic $3,026,420.19! Join us in 2019 as we continue to make bigger and better miracles For The Kids! DM at UF is one of the first five founding Dance Marathon programs in the nation and since our start, we have raised more than $15.2 million for the kids at UF Health Shands Children’s Hospital, our local CMN hospital. Everything we do is For The Kids! Ranked one of the top 50 pediatric hospitals in the nation in seven categories, UF Health Shands Children’s Hospital and Children’s Miracle Network have created one of the greatest facilities of care for children and young adults. Get the latest DM updates, learn about our Miracle Children, and more with our new DM app! Take a moment to meet the heart and soul of our philanthropy. Our Miracle Families are the inspiration for every student who is part of DM at UF. 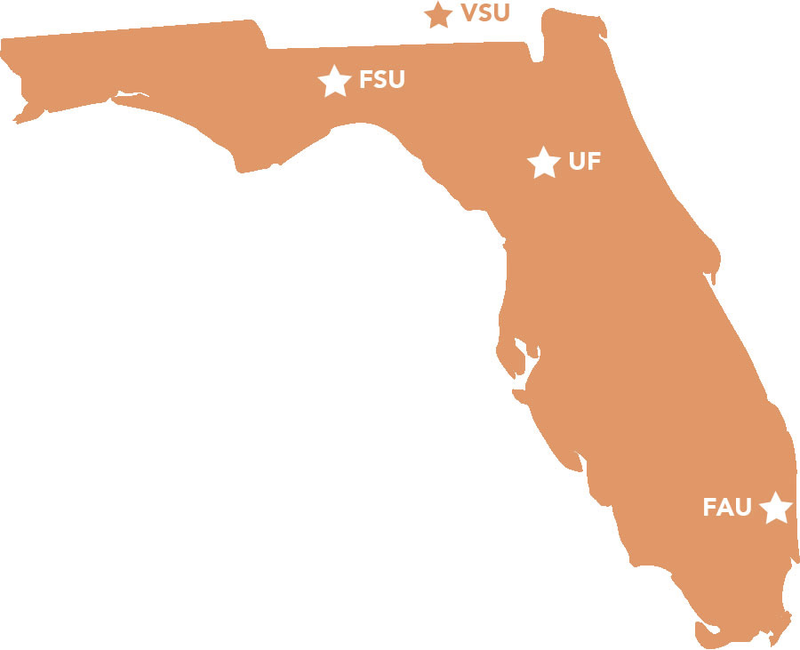 Dance Marathon at the University of Florida is fortunate to be a piece of a larger international movement. Hundreds of Dance Marathon throughout North America raise funds and awareness for Children’s Miracle Network hospitals. UF Health Shands Children’s Hospital is lucky enough to receive support from five Dance Marathons in the region, allowing it to make more miracles each and every day.